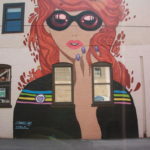 Creative inspiration abounds throughout downtown Lee’s Summit. Simply walk, or drive, around town to observe unique, one-of-a-kind works of art. Glenda Masters, the city’s first Cultural Arts manager, is charged with developing new cultural engagement and enrichment strategies benefiting Lee’s Summit residents and visitors. Glenda oversees the Lee’s Summit Arts Council, a citizen volunteer board. 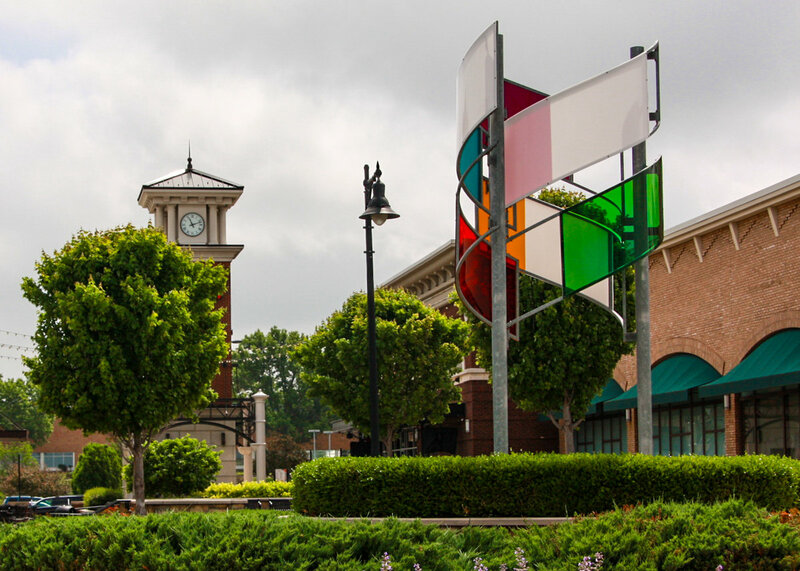 With support of the Cultural Arts Division, an initial goal for the Arts Council is to increase awareness of public art currently located within Lee’s Summit and to increase the number of temporary and permanent public art works. Downtown Lee’s Summit, City Hall Plaza. Green St. 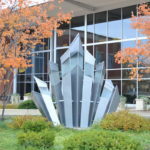 Commissioned to commemorate the 150th celebration of Lee’s Summit, Emergence was the creation of local artist Dave Eames. The metal sculpture serves as both public art and a time capsule, set to be opened in 2065. 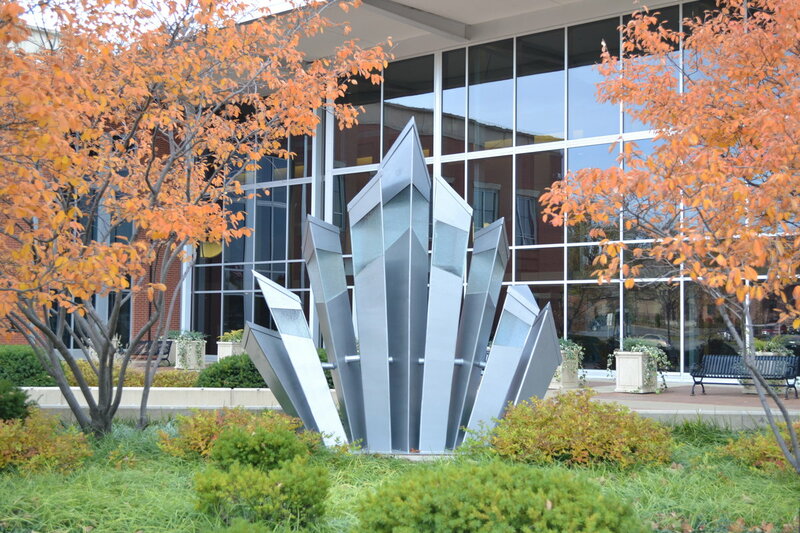 The sculpture is comprised of steel and glass elements and has the appearance of crystals as they are mined from beneath the earth. At night, glass panels near the top of each crystal spire illuminates with colorful fiber optic lights. The lights rotate through a variety of colors. The time capsule is hidden within the structure, keeping it safe from weather. 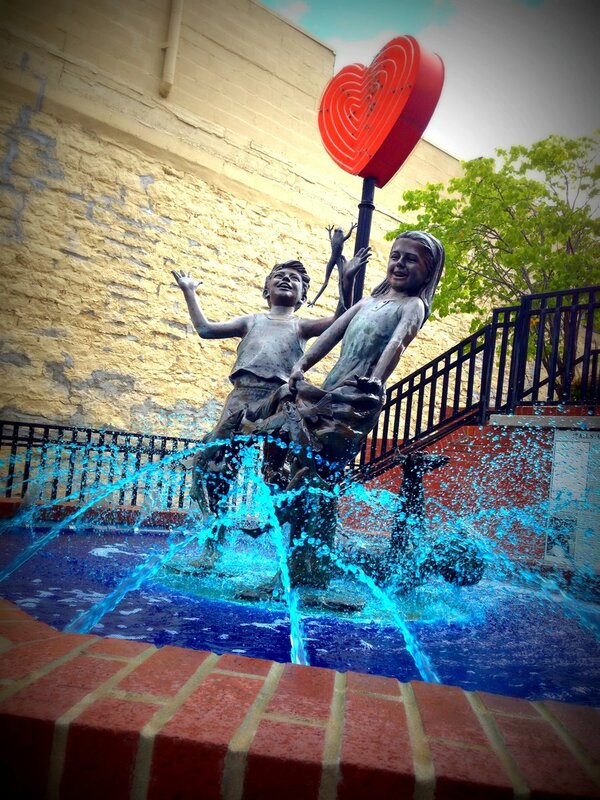 Kids at Heart is Lee’s Summit’s first permanent sculptural public art installation. 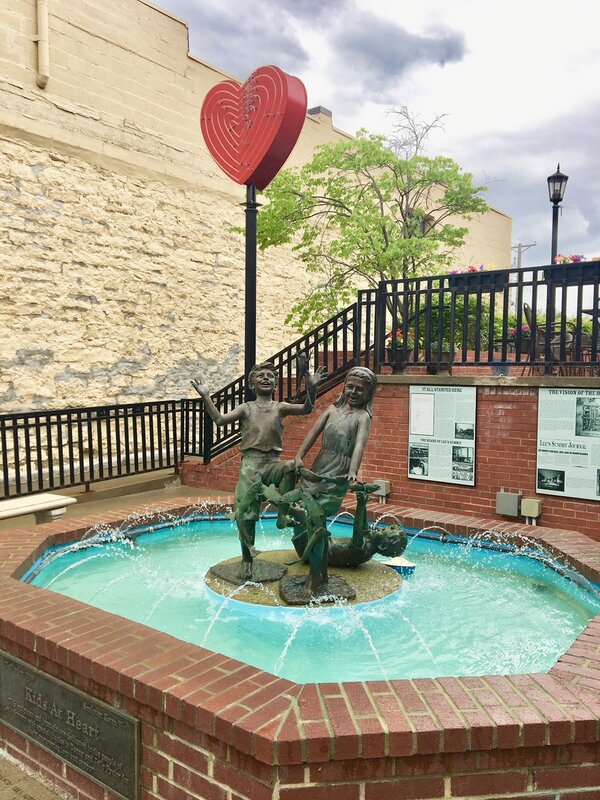 The bronze sculpture was commissioned as part of the redevelopment of downtown. 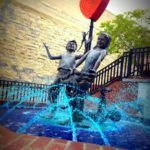 The statue depicts a youthful boy and girl standing while a playful little boy, having fallen on his back, chases after a high-jumping frog. The statues are perched in the middle of a fountain with bronze fish jumping from the waters to form a heart. Artist Kwan Wu is a Chinese-American sculptor who is ranked among the top sculptors in the world and is nationally known for his bronze statues. His works have been installed at the White House, and his life-sized bronze statue of baseball player George Brett is at Kauffman Stadium. He lives in the Kansas City area with family. 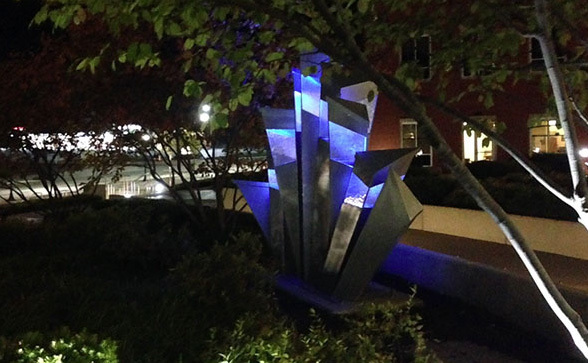 During redevelopment of Downtown Lee’s Summit, the contractor for the project, FPC Development Construction, commissioned Wu to create the sculpture. A public/private venture, installation was made possible through a public art easement agreement between the city of Lee’s Summit and Hartley Furniture and Appliance, Inc., allowing it to be located on private property while still visible and accessible to the public. Acquiring the sculpture was a community effort as funding was raised from local businesses and individuals. 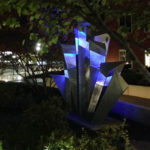 The city also supported the project through the Downtown Art Fund, a temporary fund established to support the installation of permanent and temporary public art. 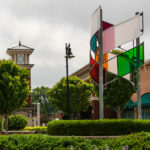 During the construction of Summit Fair in 2009, RED Development – the firm responsible for developing Summit Fair and Summit Crossing – approached the Lee’s Summit Arts Council for support in commissioning a permanent, outdoor art installation to create the center’s focal point in its roundabout green space. The Lee’s Summit Arts Council coordinated a formal call for artists seeking an artist or artist team from Missouri and Kansas. 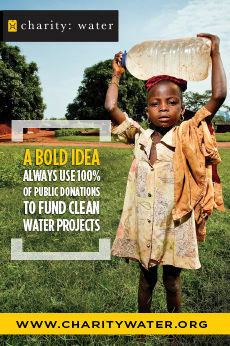 The Arts Council also supported a portion of the cost of the commission. Local artist, Jorge Garcia Almodovar, was selected to create a work of public art based upon his fresh approach to site specific work. Many of his works explore themes involving musical compositions, so it’s not surprising that Crescendo became the name of the sculpture. In musical terms, crescendo means to get louder in a piece of music. 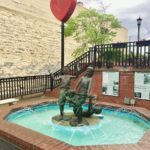 While creating the whimsical sculpture for Summit Fair, he considered its location within the main street’s roundabout and how passersby may experience it while walking or driving around the circular sculpture. Translucent plastics of vivid colors and industrial materials came together to create six curved structures mounted high in a fan-like pattern on three 20-foot high metal columns. Spiral effects created by these panels give a sense of upward movement while translucent-colored panels intermingle casting a variety of colors on surrounding landscape. 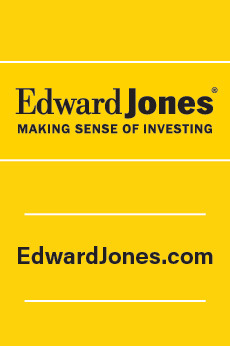 Almodovar, a native of New Jersey, lives in Kansas City, Missouri. His works have been exhibited regionally. Downtown Lee’s Summit, Old Dayton Hotel. 9 SE 3rd St. in the alley. 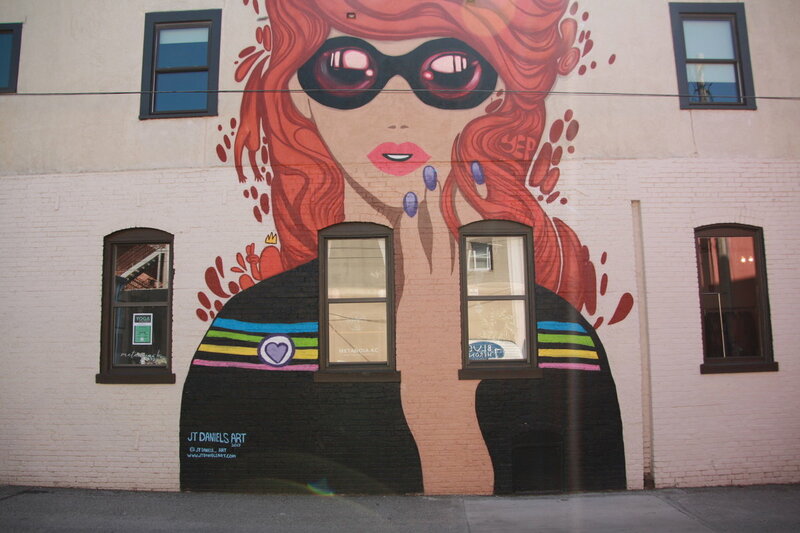 This privately commissioned mural is located in the alley of the old Dayton Hotel in Downtown Lee’s Summit. While not Lee’s Summit’s only mural, it is the most impressive and iconic, spanning the entire wall of the historic building. 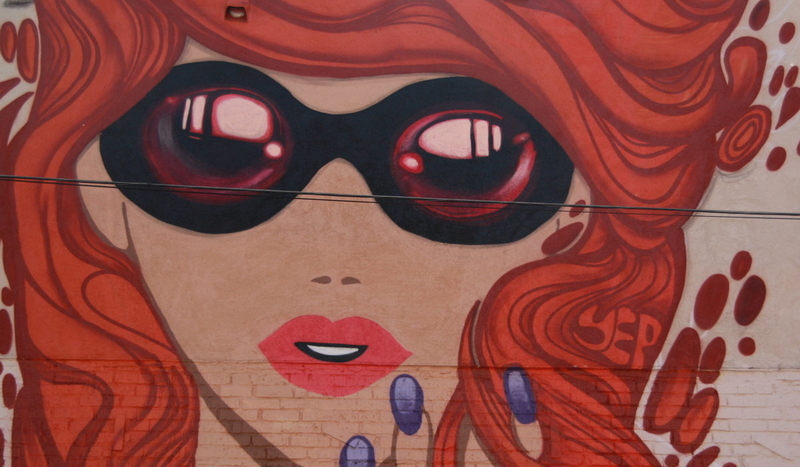 Realizing the opportunity for future murals throughout the community, the city worked with local business owners and Downtown Lee’s Summit Main Street to develop a mural ordinance. Adopted in 2016 the ordinance helps guide the commissioning of the city’s murals both privately and publicly owned. 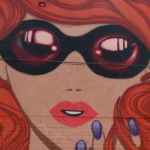 The mural has become a focal point for Downtown Lee’s Summit as people stop and take selfies against the wall. Local photographers have found it to be a unique backdrop for engagement, wedding and senior photos. JT Daniels uses his art to support and uplift the community. His murals can be seen all over Kansas City, adorning walls of small businesses, street car stops, galleries and local neighborhoods. His work weaves together various elements, such as characters and phrases, into streamlined designs that represent the heartbeat of the urban community.